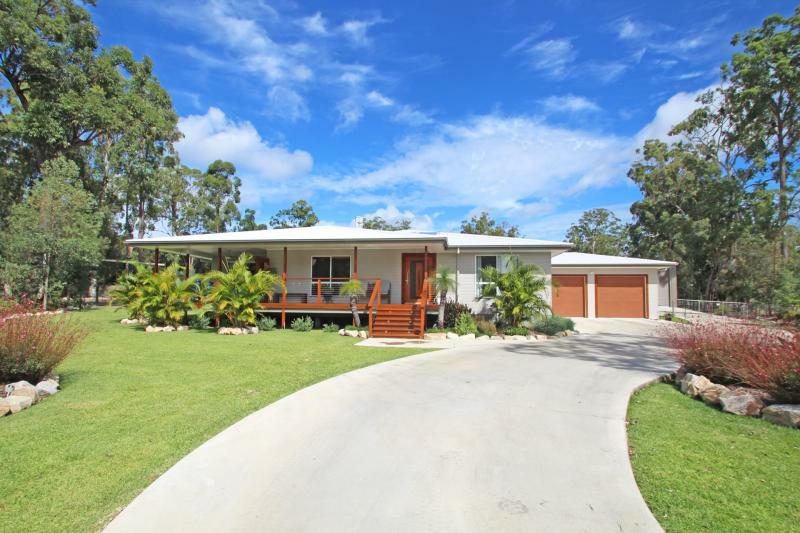 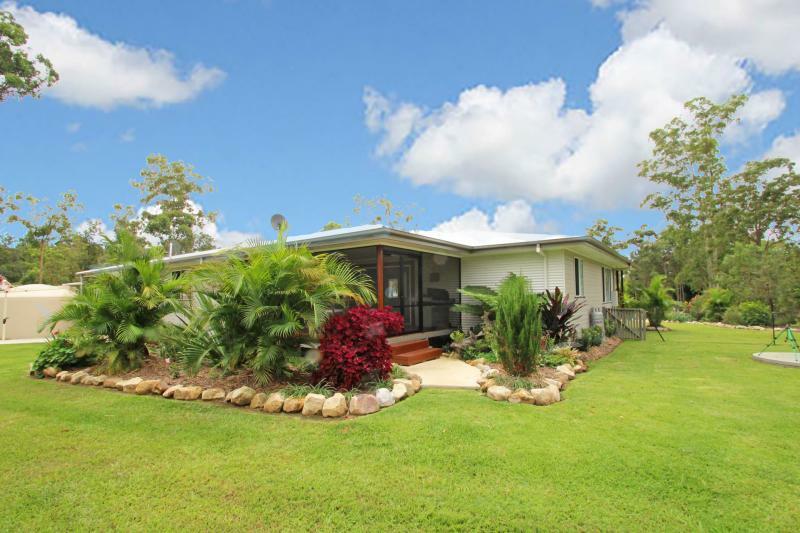 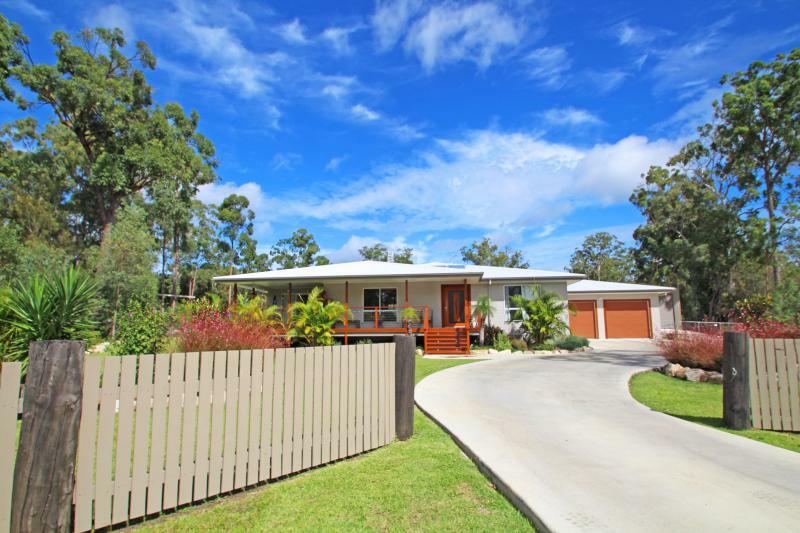 Set on 1 acre with fantastic street appeal, situated at the end of a quiet cul-de-sac in the popular, fast growing area of Gulmarrad - only minutes from Maclean and a short drive to both Brooms Head and Yamba. 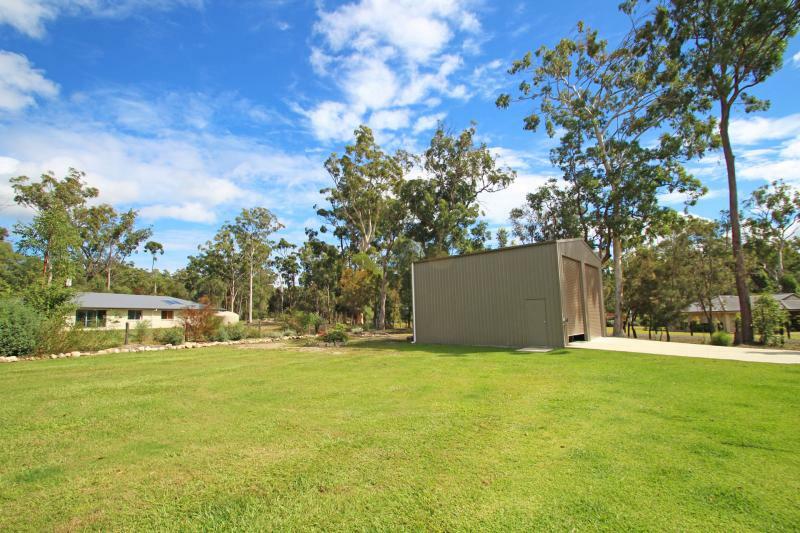 Fully fenced and beautifully landscaped with easy to maintain gardens featuring sandstone rock borders and a wide concrete driveway leading to both the double garage plus the separate 10m x 8m shed. 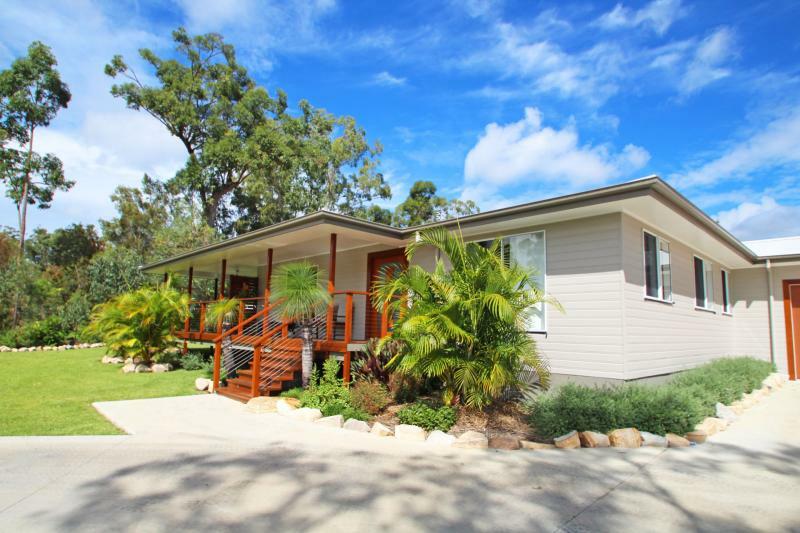 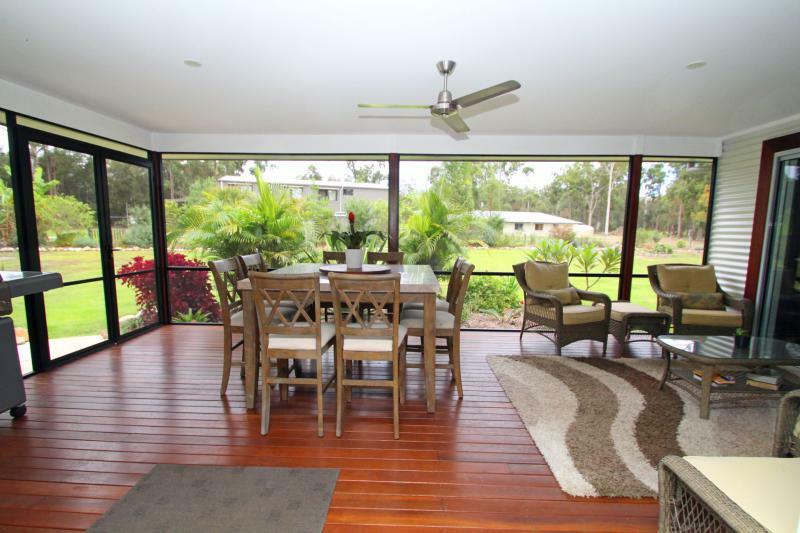 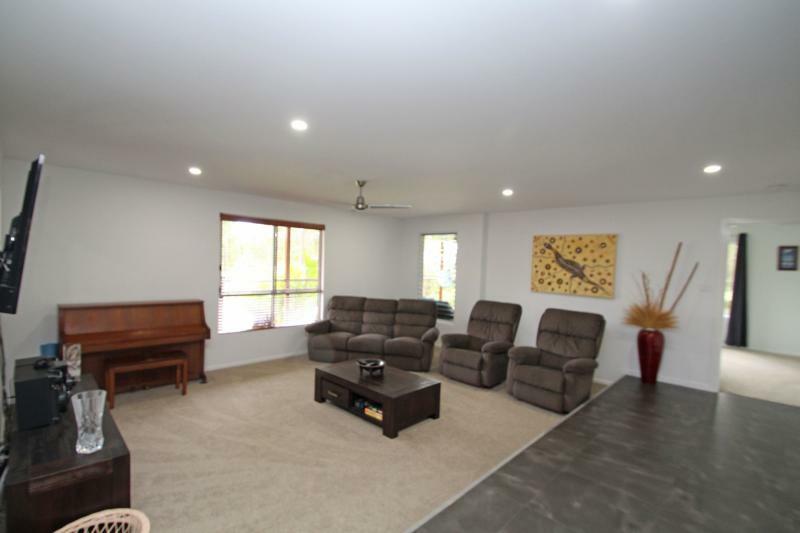 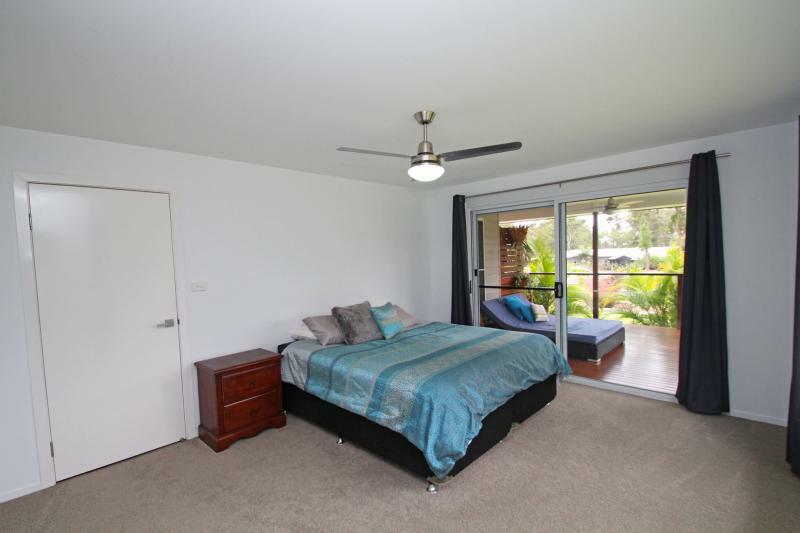 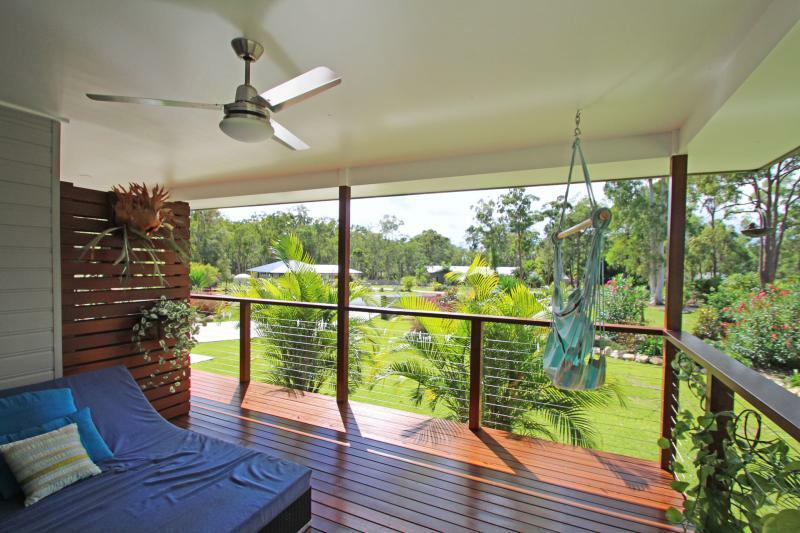 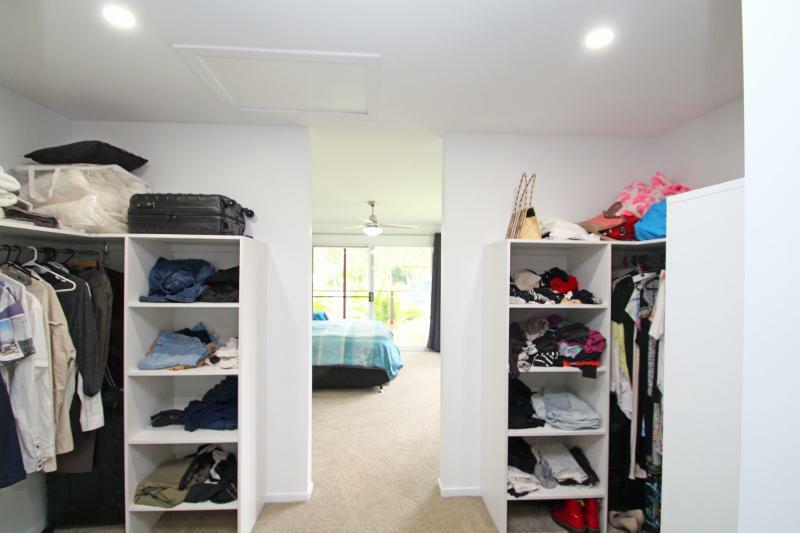 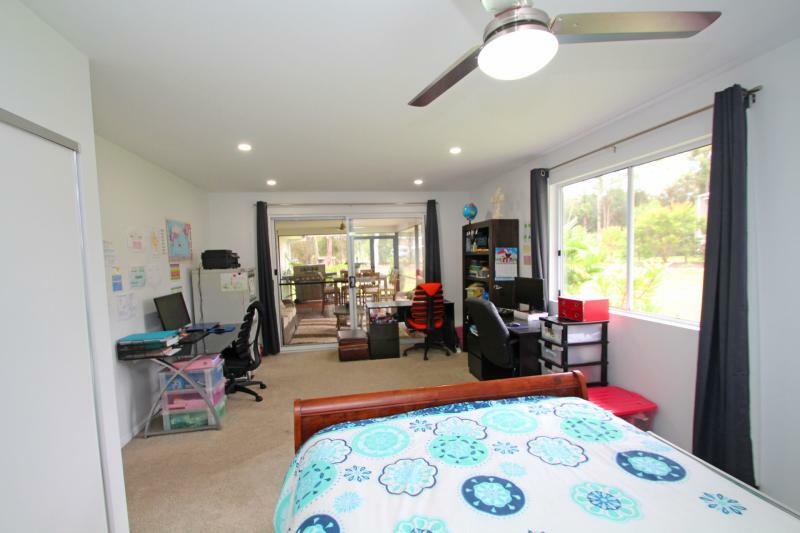 This young family home is only a year old and has been designed to take advantage of our lovely North Coast lifestyle, with two large covered verandahs, so you can enjoy our beautiful climate. 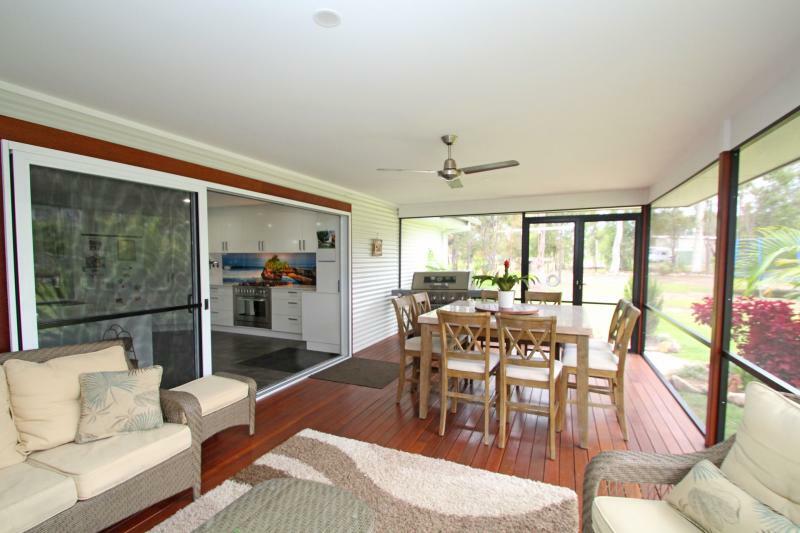 Boasting spacious open plan living areas, that afford you plenty of flexibility when it comes to furnishings and décor. 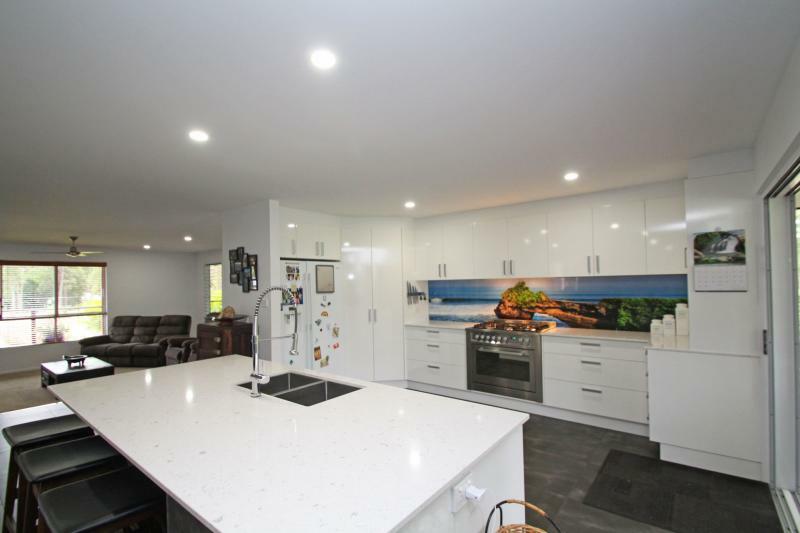 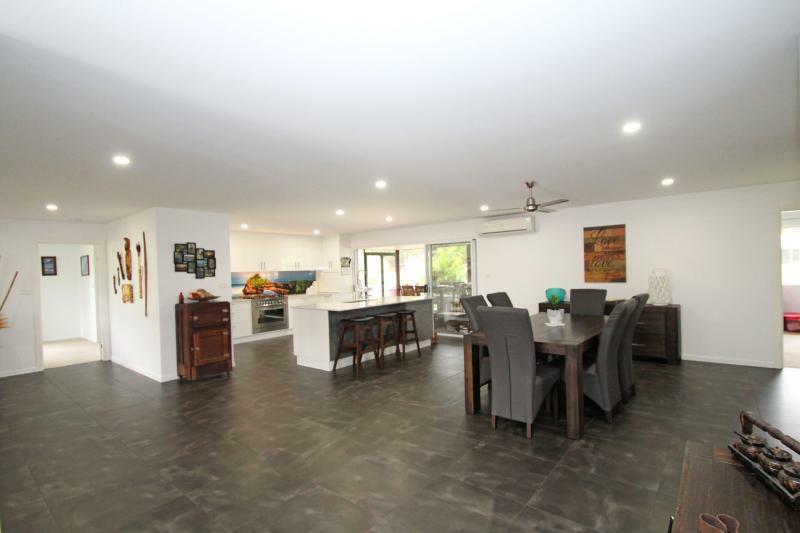 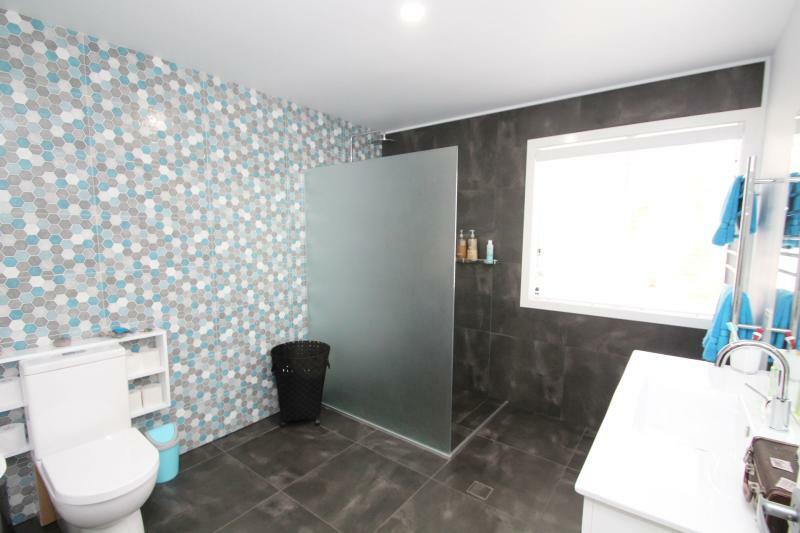 Offering a massive family and dining area plus a sunken lounge room and a stylish custom built kitchen with stone bench tops and a vibrant coastal glass splashback. 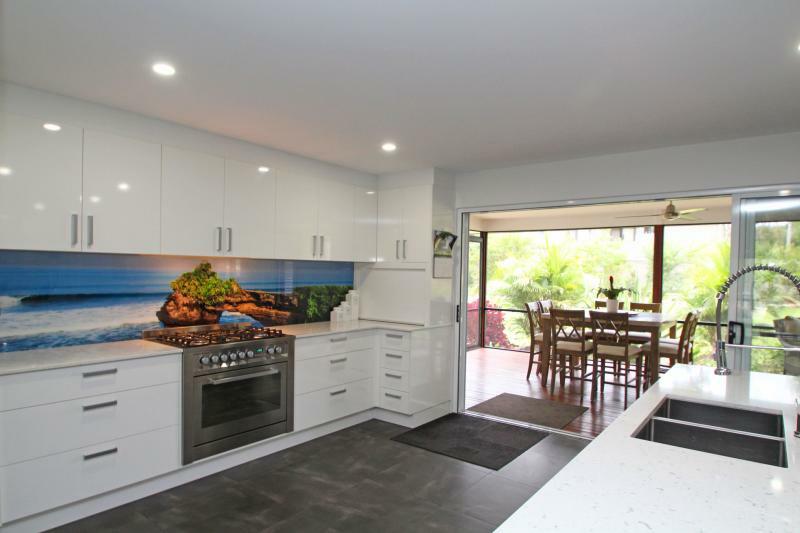 Other features include soft close cabinets and drawers, a corner pantry, Ariston freestanding stainless electric stove with gas cooktop plus a big breakfast bar. 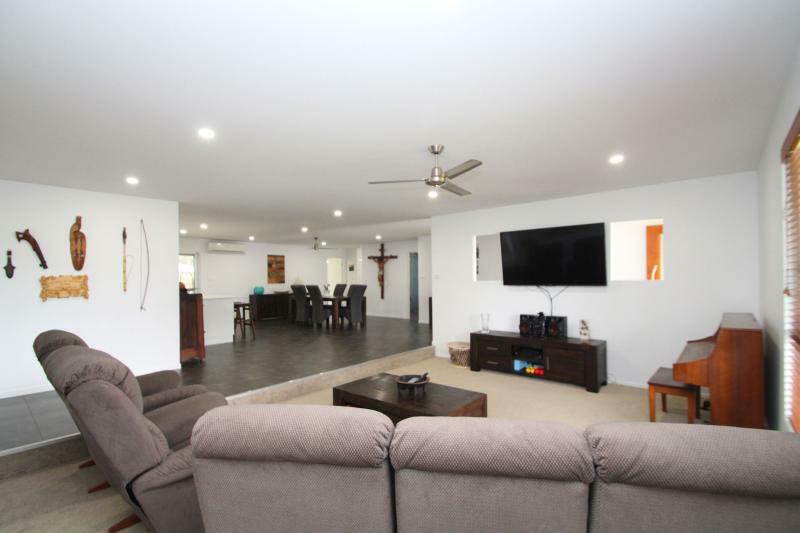 Air-conditioned to ensure year round comfort with stacker sliding doors leading out the fully screened entertainment area, providing an additional outdoor lounge and dining area. 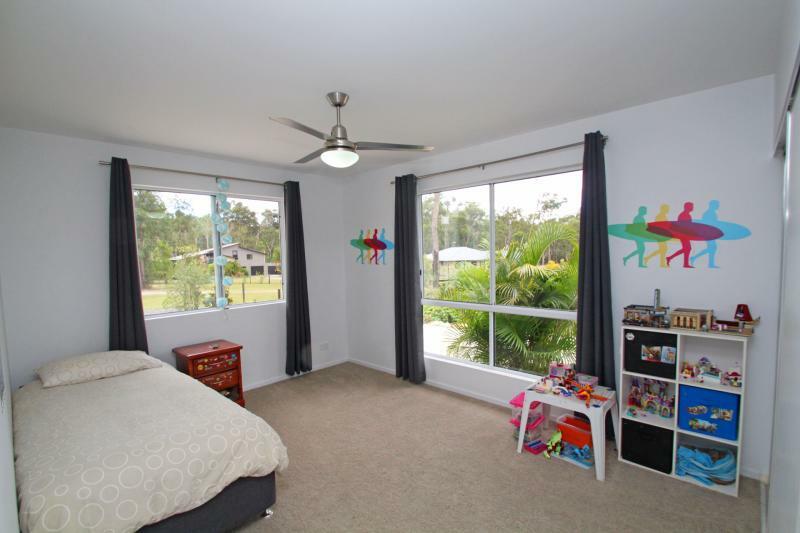 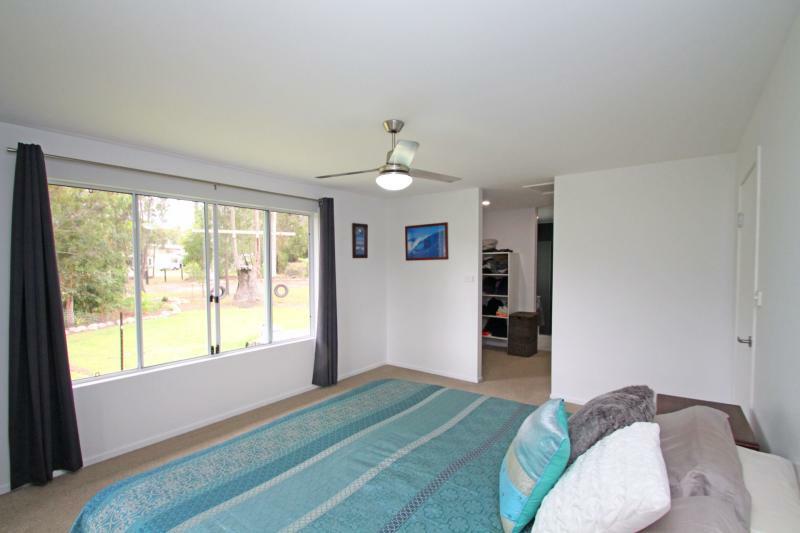 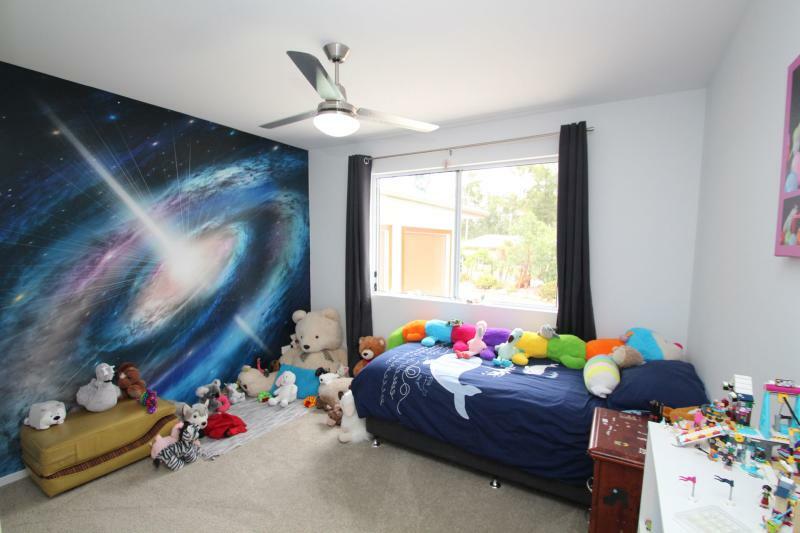 Back inside you will find 4 good size bedrooms with built-in robes and stainless ceiling fans. 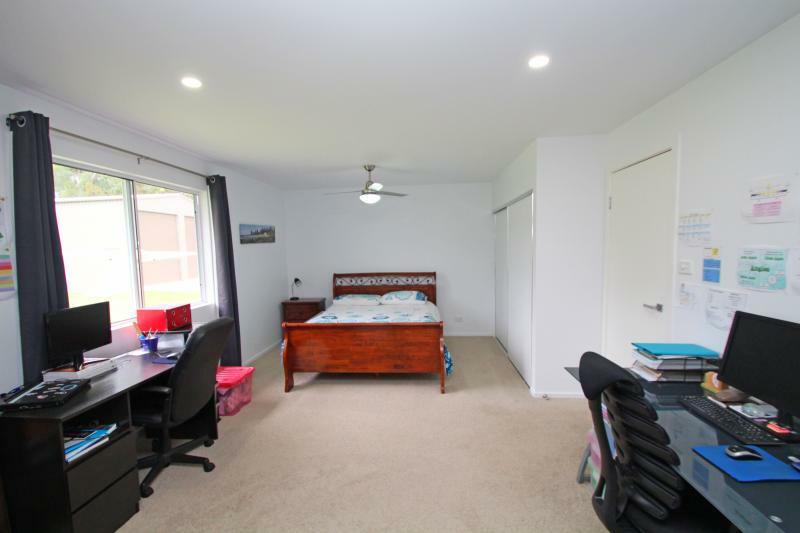 One of the bedrooms is so large it has its own office area with 2 separate desks - a room that could easily be utilised as an extra living area, if needed. 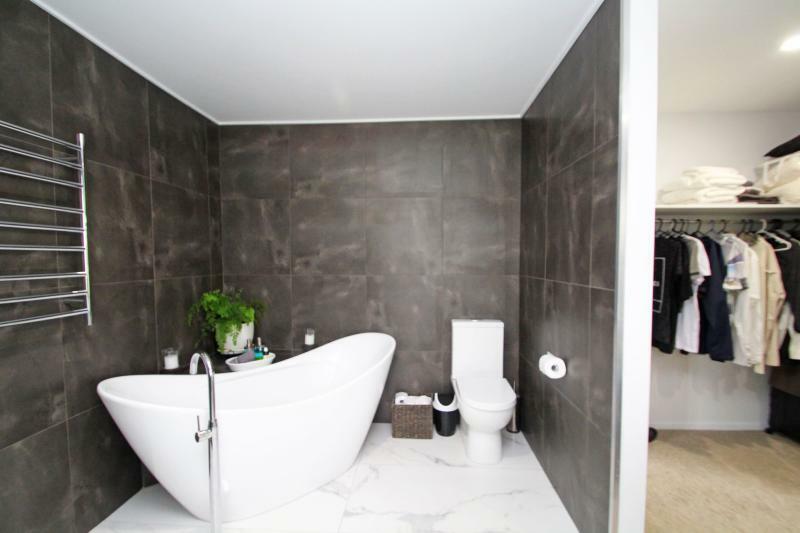 Whilst the generous size master bedroom has access to its own North facing verandah plus a massive walk-in robe that leads to a stunning ensuite with floor to ceiling wall tiles, an open shower, large vanity and an impressive 1.8m freestanding bath. 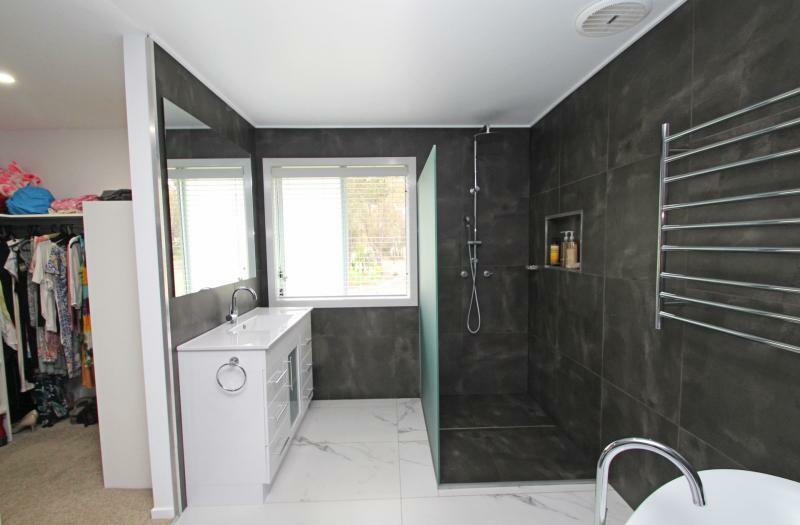 Some of these elements are mirrored in the main bathroom, which also has a stunning mosaic feature wall to give it a real point of difference. 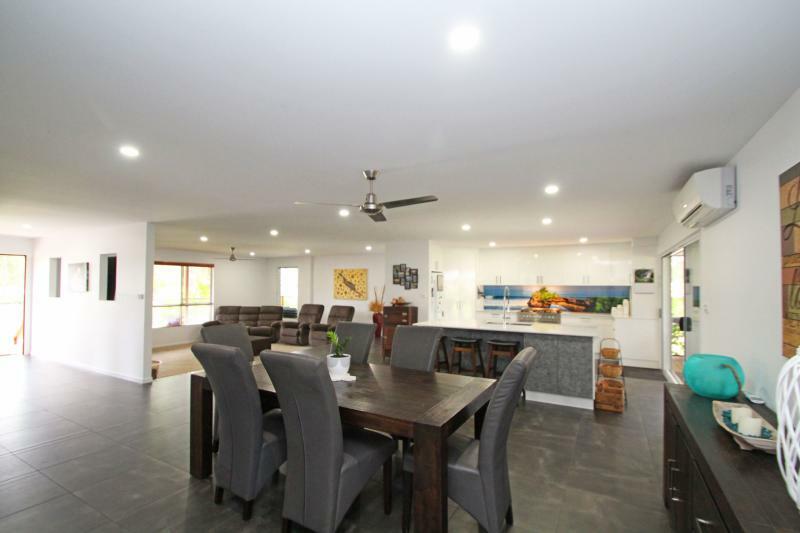 Other improvements include a large 18,500 litre water tank plus the huge double garage with remote and internal access into the home. 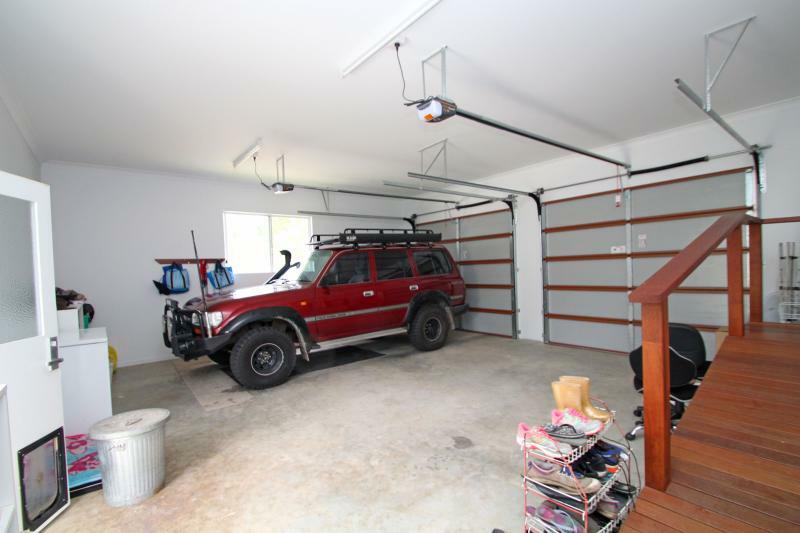 Both it and the shed have high clearance doors to accommodate larger vehicles, with room for a boat and caravan.